Computer Society of India was started on 6th march 1965 by a computer professionals with varied backgrounds including software developers, scientists, academicians, project managers and IT vendors. Now CSI has 72 chapters,511 student branches and more than 1,00,000 member across India. 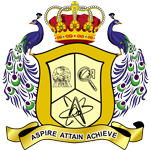 The CSI student chapter of AAA College of engineering and technology Sivakasi, has been registered during the academic year 2018 -2019. AAACET has an educational institute membership of CSI and which has been renewed every year currently this chapter has around 100 student members from the computer science and engineering department. This chapter organizes various events like workshop, seminar, symposium, conference, FDP and Guest lectures periodically to impart the current trends in IT Industry.